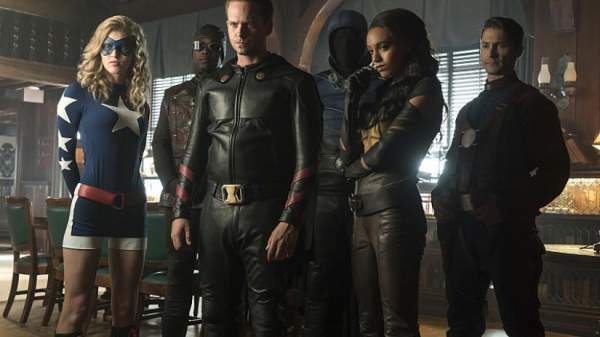 Legends of Tomorrow (LoT) Season 2 Episode 2 (S2E2) Spoilers: Air Date and Promo for ‘Justice Society of America’ Out! Rex Tayler aka Hourman landed and told the team of ‘Legends’ about JSA and himself. JSA is an organization with legendary status. Tayler warned them about heading where they were supposed to go. But did they understand what he was trying to convey them? The episode for the next week is titled ‘The Justice Society of America.’ It will only reveal how is their relationship going to be. Let’s wait and watch if they will be able to team up with the present crop of heroes. Everyone is waiting eagerly to watch the future events of the show. Time will come when we witness Sara stepping into the shoes as the leader and calling the shots. Moreover, with the image of JSA, it is quite clear that they master what they do. They will have a lot of knowledge to pass on. It will be interesting to see if the ‘Legends’ will be able to make proper use of that or not. Moreover, Vixen is now going to be a part of the entire season and not just some episodes. Todd “Obsidian” Rice will be on the show, and he is none other than a son of a Green Lantern, but not of Hal Jordan. Obsidian is the son of original Green Lantern, Alan Scott. Todd has troubled past and internal injuries. The Legends of Tomorrow Season 2 Episode 2 will air on Thursday at 8 pm ET on the CW.